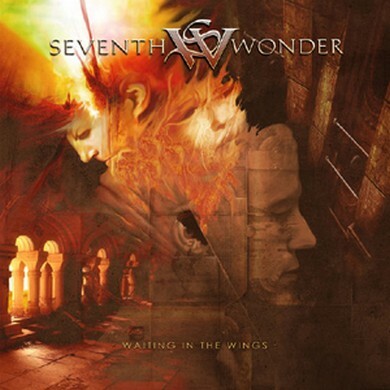 Arising from the ashes of the band Mankind, SEVENTH WONDER found its beginnings in the friendship of Mankind’s drummer Johnny Sandin, bass player Andreas Blomqvist and guitarist Johan Liefvendahl, who, left without songs to play or a name to call themselves, chose to stay together and form a group. Motivation and faith overcame the obstacles, and material began to form and amass, in the then untested, and now standard form of a band effort, jamming and thinking up songs together at rehearsals. These rehearsals also saw the music shift toward the heavier shades, and a large vein of progressive influence also made its way into the band’s mentality. The new style grew on everyone and so began the search for a keyboard player. In December of 2000, a quiet unknown by the name of Andreas Söderin came to a rehearsal session with a mutual friend of his and Johnny’s. Hearing the material, Andreas became interested and promptly stated that he would be back next time. After a while it looked clear that Seventh Wonder now had their keyboard man who immediately added a new and much sought after dimension to the sound of the band, and efforts now became more serious, to record some music and let the world know a new band had entered the scene. 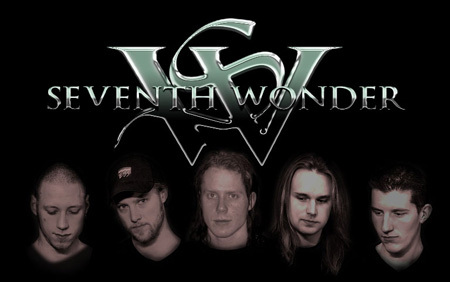 In the early summer of 2001, Seventh Wonder had written and completed some material, and entered the studio to record a demo. Not having found a permanent vocalist, Seventh Wonder instead opted to hire in singer Roman Karpovich. The self titled, four track demo was finally released in December of 2001, and managed to meet with good reviews from the press, to the great pride of Seventh Wonder’s members. 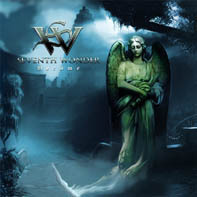 The demo was also instrumental in getting Seventh Wonder onto the live scene, and after some smaller shows, the band was invited to open the stage for Swedish crossover metal act Pain in July of 2002. Being in this situation, and at the same time lacking a permanent vocalist, however, was proving to be a tepid recipe. 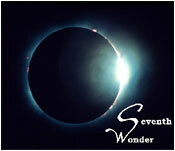 After that summer, Seventh Wonder embarked on a search for a competent vocalist. After interviewing many hopefuls, and soliciting the help of among others Ola Halén (Insania), Seventh Wonder finally found their man when 21 year-old Andi Kravljaca (ex-HEAVE) walked into the rehearsal room and opened up his pipes. The band was thrilled since he knew just about every song the band could play! 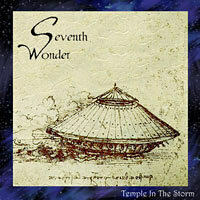 Seventh Wonder had soon completed the material which would result in their last demo CD, “Temple In The Storm", a four track demo which was received to brilliant reviews around the world, and landed Seventh Wonder fourth place among all unsigned acts of 2003 in a Dutch magazine. themselves in the position of a lifetime – free to follow their dreams. Seventh Wonder entered Sheepvalley studios in the middle of November 2004 and a month later, the debut album 'Become' was recorded. The album was mastered on December 21 at Tailor Maid studios and is to be released in June 2005. Nothing should be able to spoil the joy of this road towards success but some animosity that had been waiting in the wings for some time, flourished during the time in the studio. There were some tensions between the band and newest addition Andi, that had been brewing for quite a while, until the band finally felt the need to confront Andi. Some heated arguments, rash actions and hurt feelings later, the band and Andi decided together to part ways. As painful as the break up was, the respect for each other as musicians, has not faded. Once again the band was faced with the challenge of finding a competent vocalist. Seventh Wonder, now with a record deal in hand, could this time pursue a more aggressive way of approaching potential candidates. Andreas S (or Kyrt, as we have come to know him) remembered playing on a project on which a certain Tommy Karevik, had assisted, laying down some cool vocals. Kyrt tracked him down and approached him with the idea of trying out for the position of singer in Seventh Wonder in February 2005. In the mean time, the band got a hold of some songs Tommy had recorded with metal band Vindictiv. This was totally awesome! NEVER had any of the band members heard such a vocal performance delivered by anything less than a world famous super star! Tommy tried out once and stunned the band with his performance of the slightly operatic song "Stad i ljus" (or "Unchained light", Sweden’s contribution to the Eurovision Song Contest 1988). To make absolutely sure, the band set up a recording session to get Tommy to record three Seventh Wonder-songs. The band got together, listened to his performance (all of it recorded in ONE take!) and decided then and there that the new singer for Seventh Wonder had been found, should he accept the offer. Tommy was phoned up and happily accepted! The newly released album and its good reviews got Seventh Wonder signed to Danish Intromental Management in 2005 and they will hopefully manage to get Seventh Wonder's material released in other parts of the world, as well as set up many opportunities to get out and play live. Seventh Wonder recorded the follow-up to 'Become' in February-March 2006 at the Sound vs Science-studio, again engineered by Daniel Flores and the band. The new album, entitled Waiting In The Wings, will display a heavier and even more complex song writing as well as showcase the incredible talent of Tommy on vocals. The album is also to be mixed by legendary Tommy Hansen in March/April and we will hopefully see a release of the new album come October. Until then Seventh Wonder will of course write new material, but first and foremost, they want to go out on the road and play!